Two years ago, five participants from the International Master in Management spent seven months developing a business plan for the startup ProtoPixel for their final project. Protopixel is an interactive design studio specialised in powerful and easy to use lighting control technologies. 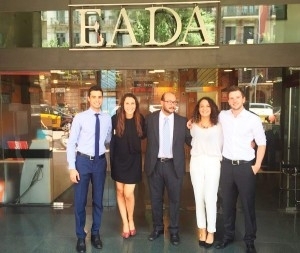 The group was put in contact with the company through a collaborative agreement between the EADA Entrepreneurship Centre and ACCIÓ, which promotes technology-based startups. 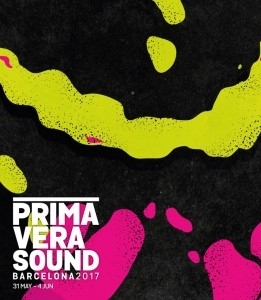 This week, ProtoPixel is in the news because it has designed the light technology for the first smart stage at the Primavera Sound Festival, one of the largest musical events in Europe, held annually in Barcelona. We talked to the International Master in Management alumni to see what they could tell us about their experience with ProroPixel. The team that worked with the company was made up of Elif Balaglu (Switzerland), Tatiana Boltiansky (Argentina), Marco Borgoglio (Italy), Mostafa El Menshawy (Egypt) and Christof Stamm (Germany). What were the main issues that you had to tackle in the business plan for ProtoPixel? How were you able to solve them? It was an exciting project for us, because you can do so much cool stuff with light. However, we did not have a background in lighting technology, which made it quite challenging at first. Firstly, the product and value proposition was not clear to us. Secondly, the market was much too broad and divided into different fields. Thirdly, the definition of the target groups was unclear. With this in mind, we tried to search for people who were working with lighting technology, such as researchers at universities, Vjays or lighting designers. We interviewed them to find out what their expectations were about the tools they used and the product or show they might want to create. How did you apply the information from the interviews in your project? Starting with the interviews, we defined segments and a target group, and we thought about what adjustments would make sense in order to serve that group – of course, we were always thinking about the four marketing Ps: price, promo, place and product. In this context, the pricing model was one of the main differential values. The legacy products all included a high one-time investment, which made it hard to convince people to switch to other hardware, but easy to convince new users that had never bought a similar product. What about your contact with the entrepreneurs-founders? Were you able to understand his vision for the project? Yes, we did understand their vision, and we thought it was great, which is why we were and still are very happy that we could contribute useful ideas to that great project. The whole startup team –Alba, Carles, Daniel and Sebastian– realised early on that we could be a very helpful resource for them. Talking to a bunch of students that did not start out with a deep knowledge of their industry could help them simplify their way of communicating the benefits of the product. The collaboration was very smooth; we could ask them anything any time. We were keen on using the tools we had learned in the International Master in Management in a real business environment. We started the project in February, and the first two months were quite challenging since the topic was not easy to grasp. The project also challenged our way of collaborating among team members, and, of course, with the ProtoPixel team. For us, it was key to convince them to see us as a valuable resource and to establish trust. It was great to see how each of our team members brought unique experience to each step of the business plan, starting with the research and then moving on to marketing, finance and workforce planning. In the end, we were really happy with our overall achievement and the things we learned about business and ourselves during the project. Did you ever think that the company would go so far? When we saw Sebastian’s pitch at the ACCIÓ event for the first time, the presentation really impressed us. Collaborating on the project was great, but in retrospect, there was a lot more to identify and do than we could see at the beginning. Many of the most common solutions were already very prevalent in the market and, as mentioned earlier, involved a heavy one-time investment. This made the switching costs for existing users very high. After getting to know the great ProtoPixel team and seeing the possibilities and power of the products, we knew it would be a great success, as long as we could come up with a good marketing strategy. Also, it is important to remember that at the time, ProtoPixel already had a strong footprint with their B2B engineering services in the market, which helped increase brand awareness. In your opinion, what is the future of companies with such a technological base? Smart technology is a trend that will grow in metropolitan areas like Barcelona, London, Paris, Berlin and New York before spreading around the world. It will eventually succeed everywhere, but it will take time to see which players get the biggest part of the pie. Right now, new standards are being set, which will lead to a democratisation of technology in many sectors. What is your professional career like today, two years after graduation? Elif: I’m working as a digital assistant brand manager at the Unilever global headquarter in London. Growing consumer choices and media exposure have made digital environment an experience that enhances the everyday, opening the door to an exciting world outside. I’m glad to be involved in this fast-paced world and looking to convey the benefits to people’s lives. Tatiana: After graduating EADA, I came back to Buenos Aires (Argentina) and started work at PwC as an analyst and advisor. In June 2016, I founded BMA – Bolmani Mondern Art, an art gallery where I’m responsible for the executive management tasks and promoting artists’ works through exhibitions and personal contacts. Apart from this, I advise and assist private collectors and businesses with acquisitions. Marco: I am currently working at Hewlett Packard Enterprise as an account manager. Working and talking with clients is my day-to-day job. I help them to choose the right IT infrastructure to run their business in a smarter way. The experience I had with the project make me understand that the IT sector was the right one to pursue my career. Continuous innovation is something that thrills me and makes me passionate about my job. Christoph: I am a product marketing manager at Bild (www.bild.de), where I am in charge of monetising the content in the bundesliga-channel www.bild.de/bundesliga. I am managing advertising partners and content partners such as the German company Bundesliga and other players in the market.